FIGURE 2-19 The plant disease triangle, illustrating the relationship between host, pathogen, and environment necessary for disease to occur. individuals encounter mates. For example, the Karnal bunt pathogen requires encounters between two mating types for reproduction to occur, yet its propa-gules are wind dispersed, making encounters between individuals of different mating types unlikely when populations are small. The resulting Allee effect may help to explain why this species has not been more invasive, since encounters between mating types will be even less likely when dispersed by wind over larger areas (Garrett and Bowden, 2002). For species that experience them, such Allee effects interact with disease nonconducive environmental conditions to reduce the chance of infection still further. As a result, if climatic conditions become more conducive to disease so that pathogens are released from the constraint of the Allee effect, pathogen populations may increase much more rapidly than anticipated. local inoculum loads. If regional inoculum loads are too high, the contributions of these methods will be diminished (Garrett et al., in revision). Likewise, in wildland systems, plant diversity probably provides baseline regulation of plant disease that is unappreciated but may be diminished if systems become saturated with inoculum. Conversely, if seasons become shorter or if climatic conditions during significant parts of growing seasons become less disease conducive, greater benefits may be obtained from some management techniques. Pathogen range shifts may occur as climatic conditions change to allow infection and overwintering or oversummering in new areas. The effects of climatic shifts may interact with other phenomena, such as the introduction of new pathogen species or pathogen genotypes. For example, overwintering of the potato late blight pathogen is facilitated by the presence of different mating types, which allows sexual production of a much hardier oospore and the potential for adaptation through production of new genotypes (Widmark et al., 2007). The combination of milder winters and introduction of new mating types may greatly increase problems with such pathogens. Range shifts and pathogen introductions will also result in new encounters between pathogen species, with the potential for hybridization to produce new pathogens (Brasier, 2001). Likewise, the introduction or range shift of new vector species may make diseases much more important, such as in the case of the movement of the glassy-winged sharpshooter and resulting increased risk of Pierce's disease of grapevines (Redak et al., 2004). Phenological shifts and range shifts in response to climate change may not follow the same patterns for plant hosts and pathogens. Some pathogens can only infect particular plant growth stages or organs, such as flowers. For example, the Fusarium head blight pathogen infects wheat anthers or other floral organs (Bai and Shaner, 2004). Shifts in flowering time phenology in response to climate change may not match shifts in pathogen phenology such that infection rates may unexpectedly rise or fall. Different patterns of geographic range shifts may result in new pathogen-host combinations (Parker and Gilbert, 2004). The genetic potential for adaptability of pathogen populations will be important in determining whether any resulting reductions in infection will be short term or lasting. In general, the timeline of pathogen adaptation is likely to be much shorter than the timeline for plant adaptation. This will be especially true for long-lived plant species in wildlands, but also for annual crop species even with the full attention of agricultural scientists. plant pathogens are intentionally introduced (Fletcher and Stack, 2007; Madden and Wheelis, 2003), bioterrorists using them might seek out the most environmentally conducive conditions for their establishment in vulnerable cropping systems. Regions where local food security is closely tied to local food production will be particularly vulnerable to changes in crop disease pressure. Yet societies in these regions may also tend to rely on crop species that are less well supported by research and development. These "orphan crops," such as millet, quinoa, cassava, and teff, need more research support to buffer the vulnerability of societies to which they are important (Nelson et al., 2004). The good news for formulation of strategies for plant disease management under changing climate conditions is that much of what needs to be done is the same with or without climate change. Even if there were no long-term trend in climatic parameters, climatic variation from season to season, year to year, and region to region requires knowledge and tools for adapting to the different scenarios. However, the potential for new combinations of climatic variables, along with the potential for interactions and for more rapid variation in conditions, reinforces the need for research and policy responses to plant disease risk (Coakley et al., 1999; Garrett et al., 2006). Research directed explicitly toward understanding the complexity of system responses to climate change is needed. A mechanistic understanding of plant and pathogen responses to climate change will be based on characterizing current populations and their potential for adaptation. New genomic tools make it possible to characterize gene expression and genotypic diversity much more readily in both wildland and agricultural plant communities. These tools can be applied in concert with other "-omics" approaches to link responses in gene expression (transcriptomics), lipidomics, and metabolomics for a fuller mechanistic understanding of adaptive potential. These approaches will have to be applied in multifactor studies of climate change effects, so that the interactions between the effects of changes in temperature, precipitation, CO2, and other environmental factors can be understood, along with the potential for adaptation. munities to new environments will also be important (e.g., Waldrop and Firestone, 2006). Undoubtedly there are many forms of disease suppressiveness provided by microbial communities in soils that offer benefits to agriculture and regulate disease in natural systems and are currently underappreciated. Research to clarify the effects of host landscape structures will help to improve strategies and will be necessary for studying changes at regional, continental, and global scales. Current regional analyses of climatic effects on disease risk tend to be calculated for disease risk in individual "pixels," important for developing a first-approximation estimate of risk. The next stage for such models will be to incorporate risk neighborhoods to improve estimates, where the risk for any given location will increase with proximity to higher-risk areas. Finally, regional and global models will need to incorporate pathogen evolution. Formulating and parameterizing these models will require advances in epidemiological theory and experimentation. For example, better data and models related to pathogen and host dispersal, current levels of intraspecific diversity, and the strength of selection under different climate change scenarios are needed. Long-term geographically representative records of disease occurrence and the distribution of pathogens and hosts are rare, despite their importance for understanding epidemiology and trends in epidemics (Jeger and Pautasso, 2008). Global networks supporting the analysis of epidemics are needed. Progress toward this goal is in place; for example, the United States has developed a National Plant Diagnostic Network to facilitate data collection and analysis (Stack and Fletcher, 2007). To be most effective, this network ultimately needs to be linked with comparable national networks in other countries. It is to the advantage of the United States to assist other countries in setting up such networks for gathering and analyzing data, so that we can all benefit from more complete information. The use of model predictions for modifying agricultural management has proven useful in many parts of the world, including applications by resource-poor farmers based on climate predictions in Zimbabwe (Patt et al., 2005). as the Svalbard Global Seed Vault provide a last resort, active investigation of plant resources is needed. 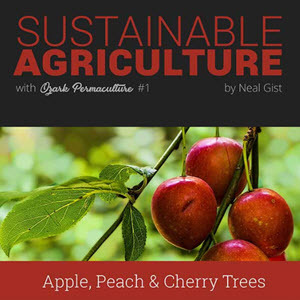 Ultimately our best response to the challenge of climate change in agriculture will be to develop diverse, flexible, and resilient agricultural systems that can adapt more readily to new climatic conditions. These systems will have to include well-prepared and well-funded agricultural scientists working globally to develop new strategies. In wildland systems, replacing plant species or genotypes at risk is a less attractive option. Since invasive pathogens can have the most important effects and have the potential to exacerbate the effects of climate change, policies to better reduce the spread of exotic pathogens will be important (Anderson et al., 2004; Burdon et al., 2006). I appreciate valuable comments from members and staff of the Forum on Microbial Threats, R. Bowden, D. Rotenberg, and P. Garfinkel. It is also a pleasure to acknowledge support by the U.S. National Science Foundation (NSF) through Grant DEB-0516046 and NSF Grant EF-0525712 as part of the joint NSF-National Institutes of Health (NIH) Ecology of Infectious Disease program; by the U.S. Agency for International Development (USAID) to the Office of International Research, Education, and Development (OIRED) at Virginia Tech for the Sustainable Agriculture and Natural Resource Management (SANREM) Collaborative Research Support Program (CRSP) under Award No. EPP-A-00-04-00013-00 and for the Integrated Pest Management (IPM) CRSP under Award No. EPP-A-00-04-00016-00; and by the Kansas State Experiment Station (Contribution No. 08-308-B). 12The findings and conclusions in this report are those of the author and do not necessarily represent the official position of the Centers for Disease Control and Prevention. 13Arctic Investigations Program, Division of Emerging Infections and Surveillance Services, National Center for Preparedness Detection and Control of Infectious Disease, Anchorage, AK. Finland, Sweden, and the Russian Federation (see Figure 2-20). The climate in the Arctic varies geographically from severe cold in arid uninhabited regions to temperate forests bordering coastal agrarian regions. Approximately 4 million people live in the Arctic and almost half reside in northern regions of the Russian Federation. Peoples of the Arctic and sub-Arctic regions live in social and physical environments that differ substantially from those of their more southern dwelling counterparts. These populations are comprised of varying proportions of indigenous and nonindigenous peoples (Stephansson Arctic Institute, 2004; see Figure 2-21). The indigenous populations of northern Canada (Northwest Territories, Yukon, Nunavut, northern Quebec, and Labrador), Alaska, and Greenland generally reside in small communities in remote regions. They have little economic infrastructure and depend on subsistence hunting, fishing, and gathering of food for a significant proportion of their diet. In these remote areas, access to public health and acute care systems is often marginal and poorly supported. Life expectancy of the indigenous peoples of Alaska, northern Canada, and Greenland is lower than that of the general populations of the United States, Canada, and Nordic countries (Young, 2008). Similarly the infant morality rate for the indigenous segments of these populations is higher than that of the comparable national populations. Mortality rates for heart disease and cancer, once much lower among the indigenous populations of the United States, Canada, and northern European countries, are now similar to their respective national rates. The indigenous populations of Alaska, Canada, and Greenland have higher mortality rates for unintentional injury and suicide. Other health concerns of the indigenous peoples of the Arctic include the high prevalence of certain infectious diseases, such as hepatitis B, Helicobacter pylori, respiratory syncytial virus (RSV) infections in infants, and sexually transmitted diseases, as well as heath impacts associated with exposures to environmental pollutants, rapid economic change and modernization, and climate change (Bjerregaard et al., 2004). The Arctic, like most other parts of the world, warmed substantially over the twentieth century, principally in recent decades. Arctic climate models project continued warming with a 3-5oC mean increase by 2100. The winters will warm more than summers, the mean annual precipitation is projected to increase, and continued melting of land and sea ice is expected to increase river discharge and contribute to rising sea levels. These changes will be accompanied by greater overall climate variability and an increase in extreme weather events (Arctic Council, 2005). 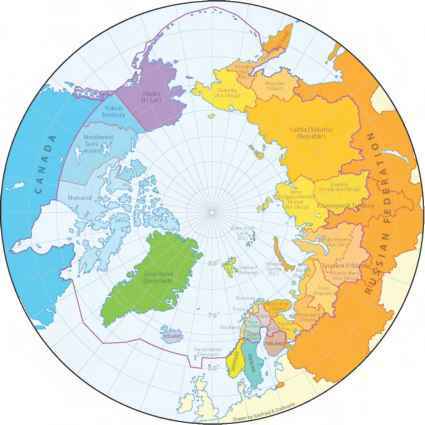 FIGURE 2-20 The circumpolar region showing administrative jurisdictions. SOURCE: Map by W. K. Dallmann. Reprinted from Young (2008) with permission from W. K. Dallmann and the International Journal of Circumpolar Health. 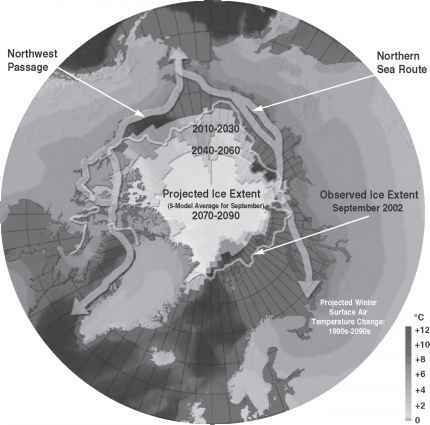 Copyright 2008.
loss of protective sea ice. In many communities, the built infrastructure is supported by permafrost. Loss of this permafrost foundation will result in damage to water intake systems and pipes, and may result in contamination of the community water supply. In addition, loss of foundation support for access roads, boardwalks, water storage tanks, and wastewater treatment facilities will render water distribution and wastewater treatment systems inoperable. Several villages already face relocation because village housing, water system, and infrastructure are being undermined (Warren et al., 2005). 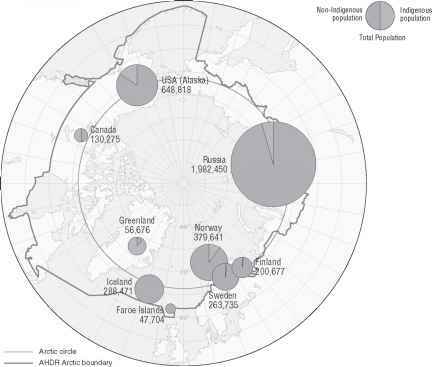 FIGURE 2-21 The circumpolar region showing indigenous and nonindigenous population distributions. SOURCE: Reprinted from Stefansson Arctic Institute (2004) with permission from W. K. Dallmann, Norwegian Polar Institute and the Stefansson Arctic Institute. Copyright 2004.
observations began in the 1970s, exceeding the most pessimistic model predictions of an ice-free Arctic by 2050 (Richter-Menge et al., 2008; Figure 2-22). This dramatic reduction in sea ice will have widespread effects on marine ecosystems, coastal climate, human settlements, and subsistence activities. For the first time the reduction in annual sea ice has created ice-free shipping lanes to the northwest, from northern Labrador through the Arctic archipelago in northern Canada, to the Bering Strait, and has almost completely cleared a passage to the northeast, from the Bering Strait along the northern coast of the Russian Federation to Norway (see Figure 2-23). Both routes represent time- and fuel-saving shortcuts between the Pacific and Atlantic Oceans and will bring an increase in marine transport and access to vast oil, gas, and mineral reserves once inaccessible to exploration and exploitation. 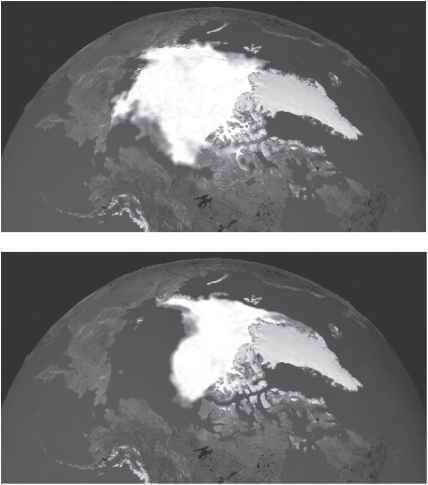 FIGURE 2-22 The Arctic ice cap, September 2001 (Top) and September 2007 (Bottom). SOURCE: NASA, as printed in Borgerson (2008). FIGURE 2-23 Proposed northwest and northeast shipping lanes through the Arctic Ocean joining the Atlantic and Pacific Oceans. SOURCE: Map by C. Grabhorn Reprinted from ACIA (2004) with permission from Cambridge University Press and C. Grabhorn. challenge the traditional subsistence way of life for many communities and lead to rapid and long-term cultural change, which will create additional stress on an already vulnerable population (Curtis et al., 2005). incidence of hypothermia and associated morbidity and mortality may decrease. Conversely hyperthermia may increase, particularly among the very young and the elderly (Nayha, 2005). However, because of the low mean temperature in many Arctic regions, the likelihood of such events having large impacts on public health for the general population is low. More significantly, unintentional injury, mostly related to subsistence hunting and fishing—already a significant cause of mortality among Arctic residents—may increase (Arctic Council, 2005). The reduction in river and sea ice thickness, curtailed ice season, reduced snow cover, and permafrost thawing will make hunting and gathering more difficult, dangerous, and less successful, thereby increasing the risk of injuries and death by drowning. Permafrost thawing erosion or flooding can force relocation. Communities and families undergoing relocation will have to adapt to new ways of living, may face unemployment, and will have to integrate and create new social bonds. Relocation may also lead to rapid and long-term cultural change and loss of traditional culture, which will increase individual and community stress, leading to mental and behavioral health challenges (Hess et al., in press). Climate change already poses a serious threat to the food security of many Arctic communities because of their reliance on traditional subsistence hunting and fishing for survival. Populations of marine and land mammals, fish, and waterfowl may be reduced or displaced by changing habitats and migration patterns, further reducing the traditional food supply. Release of environmental contaminants from the atmosphere and melting glaciers and sea ice may increase the levels of these pollutants entering the food chain, making traditional foods less desirable (AMAP, 2003). Reduction in traditional food supply will force indigenous communities to depend increasingly on nontraditional and often less healthy Western foods. This will most likely result in increasing rates of modern diseases associated with processed foods, such as obesity, diabetes, cardiovascular diseases, and outbreaks of food-borne infectious diseases associated with imported fresh and processed foods (Bjerregaard et al., 2004; Orr et al., 1994). Many host-parasite systems are particularly sensitive to climate change. Specific stages of the life cycles of many helminths may be greatly affected by temperature. For example, small increases in temperature can substantially increase the transmission of lung worms and muscle worms pathogenic to wildlife that are important as a food source for many northern communities (Hoberg et al., 2008). hantavirus, and Ebola hemorrhagic fever (Haines et al., 2006). Less is known about the impact of climate change and the risk and distribution of infectious diseases in Arctic regions. It is known that Arctic populations have a long history of both endemic and epidemic infectious diseases (Parkinson et al., 2008). However, with the introduction of antimicrobial drugs, vaccines, and public health systems, morbidity and mortality due to infectious diseases have been greatly reduced. Despite these advances, high rates of invasive diseases caused by Streptococcus pneumoniae, Haemophilus influenzae, and Mycobacterium tuberculosis persist (Bruce et al., 2008a,b; Christensen et al., 2004; Dawar et al., 2002; Degani et al., 2008; Gessner et al., 1998; Meyer et al., 2008; Netesov and Conrad, 2001; Nguyen et al., 2003; Singleton et al., 2006; S0borg et al., 2001). Sharp seasonal epidemics of viral respiratory infections also commonly occur (Bulkow et al., 2002; Karron et al., 1999; Van Caeseele et al., 2001). The overuse of antimicrobial drugs in some regions has led to the emergence of multidrug-resistant S. pneumoniae, Helicobacter pylori, and methicillin-resistant Staphylococcus aureus (Baggett et al., 2003, 2004; McMahon et al., 2007; Rudolph et al., 1999, 2000). 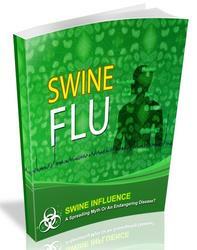 The impact of climate on the incidence of these existing infectious disease challenges is unknown. In many Arctic regions, however, inadequate housing and sanitation are already important determinants of infectious disease transmission. The cold northern climate keeps people indoors amplifying the effects of household crowding, smoking, and inadequate ventilation. Crowded living conditions increase person-to-person spread of infectious diseases and favor the transmission of respiratory and gastrointestinal diseases and skin infections. Many homes in communities across the Arctic lack basic sanitation services (e.g., flush toilet, shower or bath, kitchen sink). Providing these services is difficult in remote villages where small isolated populations live in a harsh cold climate. A recent study in western Alaska demonstrated two to four times higher hospitalization rates among children less than 3 years of age for pneumonia, influenza, and childhood RSV infections in villages where the majority of homes had no in-house piped water, compared with villages where the majority of homes had in-house piped water service. Likewise, outpatient Staphylococcus aureus infections and hospitalization for skin infections among persons of all ages were higher in villages with no in-house piped water service compared to villages without water service (Hennessy et al., 2008). Damage to the sanitation infrastructure by melting permafrost or flooding may therefore result in increased rates of hospitalization among children for respiratory infections, as well as an increased rate of skin infections and diarrheal diseases caused by bacterial, viral, and parasitic pathogens. cold storage on or near the permafrost, and fermentation. Changes in climate may prevent the drying of fish or meat, resulting in spoilage. Similarly, loss of the permafrost may result in spoilage of food stored below ground. Outbreaks of food-borne botulism occur sporadically in communities in the United States, Canadian Arctic, and Greenland and are caused by ingestion of improperly prepared fermented traditional foods (CDC, 2001; Proulx et al., 1997; Sobel et al., 2004; S0rensen et al., 1993; Wainwright et al., 1988). Because germination of Clostridium botulinum spores and toxin production will occur at temperatures greater than 4°C, it is possible that warmer ambient temperatures associated with climate change may result in an increased rate of food-borne botulism in these regions. Preliminary studies have shown that fermentation of aged seal meat challenged with C. botulinum at temperatures above 4oC results in toxin production (Leclair et al., 2004). Outbreaks of gastroenteritis caused by Vibrio parahaemolyticus have been related to the consumption of raw or inadequately cooked shellfish collected from seawater at temperatures of higher than 15oC. Prior to 2004, the most northerly outbreak occurred in northern British Columbia in 1997. However, in July 2004, an outbreak of gastroenteritis caused by V. parahaemolyticus was documented among cruise ship passengers consuming raw oysters while visiting an oyster farm in Prince William Sound, Alaska (McLaughlin et al., 2005). The outbreak investigation documented an increase of 0.21oC per year in the July-August water temperature since 1997, and reported that 2004 was the first year that the oyster farm water temperature exceeded 15oC in July. This event provides direct evidence of an association between rising seawater temperature and the onset of illness. regions of northwestern Alaska prior to 1997. Disease in humans was associated with contact with dogs; however, improvements in housing and dog lot management have largely eliminated dog-to-human transmission in Alaska. This may not be the case, however, in other parts of the Arctic where human infections with Echinococcus granulosis, and E. multilocularis are still reported, particularly in association with communities dependent on reindeer herding and dog use (Castrodale et al., 2002; Rausch, 2003). Climate change may also influence the density and distribution of animal hosts and mosquito vectors, which could result in an increase in human illness or a shift in the geographical range of disease caused by these agents. The impact of these changes on human disease incidence has not been fully evaluated, but there is clearly potential for climate change to shift the geographical distribution of certain vector-borne and other zoonotic diseases. For example, West Nile virus entered the United States in 1999 and in subsequent years infected human, horse, mosquito, and bird populations across the United States and as far north as northern Manitoba, Canada (Parkinson and Butler, 2005). In the Russian Federation infected birds and humans have been detected as far north as the region of Novosibirsk (Revich, 2008). Although there is, at present, insufficient information about the relationship between climate and the spread of West Nile virus, a number of factors may contribute to its further northward migration. Milder winters could favor winter survival of infected Culex spp. mosquitoes, the predominant vector of West Nile virus, which since the 1970s have migrated as far north as Prince Albert, Saskatchewan in Canada. Longer, hotter summers increase the transmission season leading to higher numbers of infected mosquitoes and greater opportunities for human exposure. Climate change may alter the disease ecology and migration patterns of other reservoirs such as birds. These factors may affect disease incidence and result in expansion of the range of other arthropod vector-borne diseases. eastern Canada, climate change is projected to result in a northward shift in the range of Ixodes scapularis, a tick that carries Borrelia burgdorferi, the etiologic agent of Lyme disease. The current northern limit of Ix. scapularis is southern Ontario including the shoreline of Lake Erie and southern coast of Nova Scotia. Some temperature-based models show the potential for a northward expansion of Ix. scapularis above 60oN latitude and into the Northwest Territories by 2080 (Ogden et al., 2005). However, it should be noted that tick distribution is influenced by additional factors such as habitat suitability and dispersal patterns which can affect the accuracy of these predictions. Whether or not disease in humans is a result of these climate change-induced alterations in vector range depends on many other factors, such as land-use practices, human behavior (suburban development in wooded areas, outdoor recreational activities, use of insect repellents, etc. ), human population density, and adequacy of the public health infrastructure. In 1992, the IOM published a report titled Emerging Infections: Microbial Threats to Health in the United States. This report uncovered major challenges for public health in the medical community primarily related to detecting and managing infectious disease outbreaks and monitoring the prevalence of endemic infectious diseases. It stimulated a national movement to reinvigorate the U.S. public health system to address the HIV/AIDS epidemic, the emergence of new diseases, the resurgence of old diseases, and the persistent evolution of antimicrobial resistance. In a subsequent report, the IOM provided an assessment of the capacity of the public health system to respond to emerging threats and made recommendations for addressing infectious disease threats to human health (IOM, 2003). Because climate change is expected to exacerbate many of the factors contributing to infectious disease emergence and reemergence, the recommendations of the 2003 IOM report can be applied to the prevention and control of emerging infectious disease threats resulting from climate change. A framework for public health response to climate change in the United States has recently been proposed (Frumkin et al., 2008; Hess et al., in press). The framework emphasizes the need to capitalize on and enhance existing essential public health services and to improve coordination efforts between government agencies (federal, state, and local), academia, the private sector, and nongovernmental organizations. expansion of vectors. Because Arctic populations are relatively small and widely dispersed over a large area, region-specific detection of significant trends in emerging climate-related infectious diseases may be delayed. This difficulty may be overcome by linking regional monitoring systems together for the purposes of sharing standardized information on climate-sensitive infectious diseases of mutual concern. Efforts should be made to harmonize notifiable disease registries, laboratory methods, and clinical surveillance definitions across administrative jurisdictions to allow comparable disease reporting and analysis. An example of such a network is the International Circumpolar Surveillance system for emerging infectious diseases. This network links hospital and public health laboratories together for the purposes of monitoring invasive bacterial diseases and tuberculosis in Arctic populations (Parkinson et al., 2008). The challenge in the Arctic, however, will be to ensure sufficient public health capacity to allow the detection of disease outbreaks and monitor infectious disease trends most likely to be influenced by climate. The remoteness of many communities from clinical or public health facilities, and the harsh weather conditions of Arctic regions, often preclude appropriate specimen and epidemiologic data collection during an outbreak investigation, research, or ongoing surveillance activities. Staffing shortages are frequent in many in local clinics and regional hospitals that are already overwhelmed by routine and urgent care priorities, leaving little capacity for existing staff to assist public health personnel in outbreak investigations, research, or maintenance of routine surveillance activities. 14See http://www.arctic-council.org. 15See http://www.iuch.org. 16See http://www.inchr.org. Additional resources and training may be needed to ensure adequate staffing at these facilities, to address existing gaps between regional clinics and hospitals and public health departments, and to ensure a sufficiently trained staff to address the emerging public health impacts posed by climate change. A key aspect of the public health response to climate change in Arctic regions will be the formation of community-based partnerships with tribal governments to identify potential threats to the community and develop strategies to address those threats. Communities at greatest risk should be targeted for education, outreach, and assessment of existing or potential health risks, vulnerabilities, and engagement in the design of community-based monitoring and the formulation of intervention strategies. The identification, selection, and monitoring of basic indicators for climate change and community health will be important for any response to climate change at the community level (Furgal, 2005). The selection of site- or village-specific indicators should be guided by local concerns and may include activities such as the surveillance of a key wildlife or insect species in a region where climate changes may contribute to the emergence of new zoonotic diseases or the measurement of weather (i.e., precipitation and temperature), water quality (i.e., turbidity, pathogens), and gastrointestinal illness (i.e., clinic visits) in a community. Linking communities across regions and internationally should facilitate the sharing of standard protocols, data collection instruments, and data for analysis. These linkages will be important for the detection of trends over larger geographic regions, should enhance a community's ability to detect changes that impact health, and will allow the development of strategies to minimize the negative health impacts of climate change on Arctic residents in the future. standardization, data-sharing, and the detection of infectious disease trends over a larger geographic area. This capacity is essential for the development of strategies to minimize the negative effects of climate change on the health of Arctic residents in the future. Borgerson, S. G. 2008. Arctic meltdown: the economic and security implications of global warming. Foreign Affairs 87(2):63-77. Chretien, J. P., A. Anyamba, S. A. Bedno, R. F. Breiman, R. Sang, K. Sergon, A. M. Powers, C. O. Onyango, J. Small, C. J. Tucker, and K. J. Linthicum. 2007. Drought-associated chi-kungunya emergence along coastal East Africa. American Journal of Tropical Medicine and Hygiene 76(3):405-407. Fritz, C. L., D. T. Dennis, M. A. Tipple, G. L. Campbell, C. R. McCance, and D. J. Gubler. 1996. Surveillance for pneumonic plague in the United States during an international emergency: a model for control of imported emerging diseases. Emerging Infectious Diseases 2(1):30-36. IPCC (Intergovernmental Panel on Climate Change). 2007. Climate change 2007: the physical science basis. Contribution of Working Group I to the fourth assessment report of the IPCC. Cambridge, UK: Cambridge University Press. Linthicum, K. J., A. Anyamba, C. J. Tucker, P. W. Kelley, M. F. Myers, and C. J. Peters. 1999. Climate and satellite indicators to forecast Rift Valley fever epidemics in Kenya. Science 285(5426):397-400. Stenseth, N. C., N. I. Samia, H. Viljugrein, K. L. Kausrud, M. Begon, S. Davis, H. Leirs, V. M. Dubyanskiy, J. Esper, V. S. Ageyev, N. L. Klassovskiy, S. B. Pole, and C. Kung-Sik. 2006. Plague dynamics are driven by climate variation. Proceedings of the National Academy of Sciences 103(35):13110-13115. Colwell, R. R. 1996. Global climate and infectious disease: the cholera paradigm. Science 274(5295):2025-2031. Colwell, R. R., and A. Huq. 1994. Vibrios in the environment: viable but nonculturable Vibrio cholerae. In: Vibrio cholerae and cholera: molecular to global perspectives, edited by I. K. Wachsmuth, O. Olsvik, and P. A. Blake. Washington, DC: American Society for Microbiology. Pp. 117-133. Gil, A. I., V. R. Louis, I. N. Rivera, E. Lipp, A. Huq, C. F. Lanata, D. N. Taylor, E. Russek-Cohen, N. Choopun, R. B. Sack, R. R. Colwell. 2004. Occurrence and distribution of Vibrio cholerae in the coastal environment of Peru. Environmental Microbiology 6(7):699-706. Rawlings, T., G. M. Ruiz, and R. R. Colwell. 2007. Association of Vibrio cholerae O1 El Tor and O139 Bengal with the copepods Acartia tonsa and Eurytemora affinis. Applied Environmental Microbiology 73(24):7926-7933.
WHO (World Health Organization). 2005. Weekly epidemiological record 80(31):261-268, http:// www.who.int/wer/2005/wer8031.pdf (accessed May 1, 2008). Anyamba, A., K. J. Linthicum, R. Mahoney, C. J. Tucker, and P. W. Kelley. 2002. Mapping potential risk of Rift Valley fever outbreaks in African savannas using vegetation index time series data. Photogrammetric Engineering and Remote Sensing 68(2):137-145. Anyamba, A., J. P. Chretien, J. Small, C. J. Tucker, and K. J. Linthicum. 2006. Developing global climate anomalies suggest potential disease risks for 2006-2007. International Journal of Health Geographics 5:60. Bedno, S. A., C. O. Onyango, C. Njugana, R. Sang, S. Gaydos, K. Sergon, and R. F. Breiman. 2006. Outbreak of chikungunya in Lamu, Kenya, 2004. Paper presented at the International Conference on Emerging Infectious Diseases, Atlanta, GA.
CDC (Centers for Disease Control and Prevention). 1998. Rift Valley fever—East Africa, 1997-1998. Morbidity and Mortality Weekly Report 47(13):261-264. Chretien, J, P., and K. J. Linthicum. 2007. Chikungunya in Europe—what's next? Lancet 370(9602): 1805-1806. Chretien, J. P., A. Anyamba, S. A. Bedno, R. F. Breiman, R. Sang, K. Sergon, A. M. Powers, C. O. Onyango, J. Small, C. J. Tucker, and K. J. Linthicum. 2007. Drought-associated chi-kungunya emergence along coastal East Africa. American Journal of Tropical Medicine and Hygiene 76(3):405-407. FAO (Food and Agriculture Organization). 2006. Possible RVF activity in the Horn of Africa. EMPRES Watch. IOM (Institute of Medicine). 2003. Microbial threats to health: emergence, detection, and response. Washington, DC: The National Academies Press. IPCC (Intergovernmental Panel on Climate Change). 2007a. Climate change 2007: the physical science basis. Contribution of Working Group I to the fourth assessment report of the IPCC. Cambridge, UK: Cambridge University Press. Chapter 3. ———. 2007b. Climate change 2007: the physical science basis. Contribution of Working Group I to the fourth assessment report of the IPCC. Cambridge, UK: Cambridge University Press. Chapter 10. Kovats, R. S., M. J. Bouma, S. Hajat, E. Worrall, and A. Haines. 2003. El Niño and health. Lancet 362(9394): 1481-1489. Linthicum, K. J., F. G. Davies, C. L. Bailey, and A. Kairo. 1984. Mosquito species encountered in a flooded grassland dambo in Kenya. Mosquito News 44:228-232. Linthicum, K. J., A. Anyamba, C. J. Tucker, P. W. Kelley, M. F. Myers, and C. J. Peters. 1999. Climate and satellite indicators to forecast Rift Valley fever epidemics in Kenya. Science 285(5426):397-400. Mavalankar, D., P. Shastri, and P. Raman. 2007. Chikungunya epidemic in India: a major public-health disaster. Lancet Infectious Disease 7(5):306-307. Peters, C. J., and K. J. Linthicum. 1994. Rift Valley fever. In Handbook of zoonoses, Second edition, edited by G. B. Beran. Boca Raton, FL: CRC Press, Inc.
Rezza, G., L. Nicoletti, R. Angelini, R. Romi, A. C. Finarelli, M. Panning, P. Cordioli, C. Fortuna, S. Boros, F. Magurano, G. Silvi, P. Angelini, M. Dottori, M. G. Ciufolini, G. C. Majori, and A. Cassone. 2007. Infection with chikungunya virus in Italy: an outbreak in a temperate region. Lancet 370(9602):1840-1846. Save the Children Alliance. 2007 (January 11). Horn of Africa emergency statement, http://www. savethechildren.net/alliance/media/newsdesk/2007-01-01.html (accessed March 4, 2008). Sergon, K., C. Njuguna, R. Kalani, V. Ofula, C. Onyango, L. S. Konongoi, S. Bedno, H. Burke, A. M. Dumilla, J. Konde, M. K. Njenga, R. Sang, and R. F. Breiman. 2008. Seroprevalence of chikungunya virus (CHIKV) infection on Lamu Island, Kenya, October 2004. American Journal of Tropical Medicine and Hygiene 78(2):333-337. Tsetsarkin, K. A., D. L. Vanlandingham, C. E. McGee, and S. Higgs. 2007. A single mutation in Chikungunya virus affects vector specificity and epidemic potential. PLoS Pathogens 3(12):e201. UN (United Nations). 2004. Kenya flash appeal, http://www.un.org/depts/ocha/cap/kenya.html (accessed March 4, 2008). --. 2006. Global survey of early warning systems: an assessment of capacities, gaps, and opportunities towards building a comprehensive global early warning system for all natural hazards, http://www.unisdr.org/ppew/info-resources/ewc3/Global-Survey-of-Early-Warning-Systems.pdf (accessed March 4, 2008). Watts, D. M., D. S. Burke, B. A. Harrison, R. E. Whitmire, and A. Nisalak. 1987. Effect of temperature on the vector efficiency of Aedes aegypti for dengue 2 virus. American Journal of Tropical Medicine and Hygiene 36(1):143-152.
WHO (World Health Organization). 2004. Using climate to predict infectious disease outbreaks: a review, http://www.who.int/globalchange/publications/oeh0401/en/ (accessed March 4, 2008). don/2006_03_17/en/ (accessed March 4, 2008). December 2006-April 2007. Weekly Epidemiological Record 82(20):169-178. --. 2007b. Health action in crises. Highlights No 140—8 to 14 January 2007, http://www.who. int/hac/donorinfo/highlights/highlights_140_08_14jan2007.pdf (accessed March 4, 2008). Achtman, M., K. Zurth, G. Morelli, G. Torrea, A. Guiyoule, and E. Carniel. 1999. Yersinia pestis, the cause of plague, is a recently emerged clone of Yersinia pseudotuberculosis. Proceedings of the National Academy of Sciences 96(24):14043-14048. Baltazard, M., Y. Karimi, M. Eftekhari, M. Chamsa, and H. H. Mollaret. 1963. La conservation interépizootique de la peste en foyer invétéré hypothèses de travail. Bulletin de la Société de Pathologie Exotique 56:1230-1241. Ben Ari, T., A. Gershunov, K. L. Gage, T. Snäll, P. Ettestad, K. L. Kausrud, and N. C. Stenseth. 2008. Human plague in U.S.: the importance of regional and local climate. Biology Letters (in review). Blanc, G. 1956. Une opinion non conformiste sur le mode de transmission de la peste. Revue d'Hygiéne et de Médecine Sociale 4(6):532-562. Chamberlain, N. 2004. Plague, http://www.kcom.edu/faculty/chamberlain/Website/lectures/lecture/ plague.htm (accessed July 1, 2008). Cohn, S. K., Jr. 2002. The Black Death transformed: disease and culture in early Renaissance Europe. London, UK: Edward Arnold Publishers. Davis, S., M. Begon, L. De Bruyn, V. S. Ageyev, N. L. Klassovskiy, S. B. Pole, H. Viljugrein, N. C. Stenseth, and H. Leirs. 2004. Predictive thresholds for plague in Kazakhstan. Science 304(5671):736-738. Davis, S., H. Leirs, H. Viljugrein, N. C. Stenseth, L. De Bruyn, N. Klassovskiy, V. Ageyev, and M. Begon. 2007. Empirical assessment of a threshold model for sylvatic plague. Journal of the Royal Society Interface 4(15):649-657. Drancourt, M., L. Houhamdi, and D. Raoult. 2006. Yersinia pestis as a telluric, human ectoparasite-borne organism. Lancet Infectious Diseases 6(4):234-241. Duplantier, J. M., J. B. Duchemin, S. Chanteau, and E. Carniel. 2005. From the recent lessons of the Malagasy foci towards a global understanding of the factors involved in plague reemergence. Veterinary Research 36(3):437-453. Esper, J., S. G. Shiyatov, V. S. Mazepa, R. J. S. Wilson, D. A. Graybill, and G. Funkhouser. 2003. Temperature-sensitive Tien Shan tree ring chronologies show multi-centennial growth trends. Climate Dynamics 21(7/8):8p. Frigessi, A., M. Holden, C. Marshall, H. Viljugrein, N. C. Stenseth, L. Holden, V. Ageyev, and N. L. Klassovskiy. 2005. Bayesian population dynamics of interacting species: great gerbils and fleas in Kazakhstan. Biometrics 61(1):230-238. Fritz, C. L., D. T. Dennis, M. A. Tipple, G. L. Campbell, C. R. McCance, and D. J. Gubler. 1996. Surveillance for pneumonic plague in the United States during an international emergency: a model for control of imported emerging diseases. Emerging Infectious Diseases 2(1):30-36. Gage, K. L., and M. Y. Kosoy. 2005. Natural history of plague: perspectives from more than a century of research. Annual Review of Entomology 50(1):505-528. Galimand, M., A. Guiyoule, G. Gerbaud, B. Rasoamanana, S. Chanteau, E. Carniel, and P. Courvalin. 1997. Multidrug resistance in Yersinia pestis mediated by a transferable plasmid. New England Journal of Medicine 337(10):677-680. Guiyoule, A., F. Grimont, I. Iteman, P. A. Grimont, M. Lefevre, and E. Carniel. 1994. Plague pandemics investigated by ribotyping of Yersinia pestis strains. Journal of Clinical Microbiology 32(3):634-641. Guiyoule, A., G. Gerbaud, C. Buchrieser, M. Galimand, L. Rahalison, S. Chanteau, P. Courvalin, and E. Carniel. 2001. Transferable plasmid-mediated resistance to streptomycin in a clinical isolate of Yersinia pestis. Emerging Infectious Diseases 7(1):43-48. Hall, F. G., G. Collatz, S. Los, E. Brown de Colstoun, and D. Landis, eds. 2005. 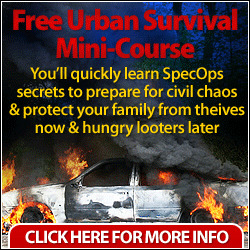 ISLSCP Initiative II. DVD/CD-ROM. Hinnebusch, B. J., M.-L. Rosso, T. G. Schwan, and E. Carniel. 2002. High-frequency conjugative transfer of antibiotic resistance genes to Yersinia pestis in the flea midgut. Molecular Microbiology 46(2):349-354. Hotez, P. J., D. H. Molyneux, A. Fenwick, E. Ottesen, S. Ehrlich Sachs, and J. D. Sachs. 2006. Incorporating a rapid-impact package for neglected tropical diseases with programs for HIV/AIDS, tuberculosis, and malaria. PLoS Medicine 3(5):e102. Huntington, T. G. 2006. Evidence for intensification of the global water cycle: review and synthesis. Journal of Hydrology 319(1-4):83-95. Inglesby, T. V., D. T. Dennis, D. A. Henderson, J. G. Barlett, M. S. Ascher, E. Eitzen, A. D. Fine, A. M. Friedlander, J. Hauer, J. F. Koerner, M. Layton, J. McDade, M. T. Osterholm, T. O'Toole, G. Parker, T. M. Perl, P. K. Russell, M. Schoch-Spana, and K. Tonat. 2000. Plague as a biological weapon. Journal of the American Medical Association 283(17):2281-2290. IPCC (Intergovernmental Panel on Climate Change). 2007. Climate change 2007: impacts, adaptation, and vulnerability. Contribution of Working Group II to the fourth assessment report of the Intergovernmental Panel on Climate Change. Cambridge, UK: Cambridge University Press. Chapter 8. Kausrud, K., H. Viljugrein, A. Frigessi, M. Begon, S. Davis, H. Leirs, V. Dubyanskiy, and N. C. Stenseth. 2007. Climatically driven synchrony of gerbil populations allows large-scale plague outbreaks. Proceedings: Biological Sciences 274(1621):1963-1969. Kausrud, K. L., H. Viljugrein, A. Frigessi, M. Begon, S. Davis, H. Leirs, T. Ben Ari, and N. C. Stenseth. 2008. The epidemiological history of plague in Central Asia: a paleoclimatic modelling study Proceedings of the National Academy of Sciences (in review). Koirala, J. 2006. Plague: disease, management, and recognition of act of terrorism. Infectious Disease Clinics of North America 20(2): viii, 273-287. Laudisoit, A., H. Leirs, R. H. Makundi, S. Van Dongen, S. Davis, S. Neerinckx, J. Deckers, and R. Libois. 2007. Plague and the human flea, Tanzania. Emerging Infectious Diseases 13(5):687-693. Los, S., G. Collatz, P. Sellers, C. Malmström, N. Pollack, R. Defries, L. Bounoua, M. Parris, C. Tucker, and D. Dazlich. 2000. A global 9-year biophysical land surface data set from NOAA AVHRR data. Journal of Hydrometeorology 1:183-199. Mudur, G. 1995. India's pneumonic plague outbreak continues to baffle. British Medical Journal 311(7007):706. Park, S., K. S. Chan, H. Viljugrein, L. Nekrassova, B. Suleimenov, V. S. Ageyev, N. L. Klassovskiy, S. B. Pole, and N. C. Stenseth. 2007. Statistical analysis of the dynamics of antibody loss to a disease-causing agent: plague in natural populations of great gerbils as an example. Journal of the Royal Society Interface 4(12):57-64. Parkhill, J., B. W. Wren, N. R. Thomson, R. W. Titball, M. T. G. Holden, M. B. Prentice, M. Sebai-hia, K. D. James, C. Churcher, K. L. Mungall, S. Baker, D. Basham, S. D. Bentley, K. Brooks, A. M. Cerdeno-Tarraga, T. Chillingworth, A. Cronin, R. M. Davies, and P. Davis. 2001. Genome sequence of Yersinia pestis, the causative agent of plague. Nature 413(6855):523-527. Parmenter, R. R., E. P. Yadav, C. A. Parmenter, P. Ettestad, and K. L. Gage. 1999. Incidence of plague associated with increased winter-spring precipitation in New Mexico. American Journal of Tropical Medicine and Hygiene 61 (5):814-821. Pettorelli, N., J. O. Vik, A. Mysterud, J.-M. Gaillard, C. J. Tucker, and N. C. Stenseth. 2005. Using the satellite-derived NDVI to assess ecological responses to environmental change. Trends in Ecology and Evolution 20(9):503-510. Raoult, D., and G. Aboudharam. 2000. Molecular identification by "suicide PCR" of Yersinia pes-tis as the agent of medieval Black Death. Proceedings of the National Academy of Sciences 97(23): 12800-12803. Samia, N. I., K.-S. Chan, and N. C. Stenseth. 2007. A generalized threshold mixed model for analyzing nonnormal nonlinear time series, with application to plague in Kazakhstan. Biometrika 94(1):101-118. Schrag, S. J., and P. Wiener. 1995. Emerging infectious diseases: what are the relative roles of ecology and evolution? Trends in Ecology and Evolution 10(8):319-324. Scott, S., and C. J. Duncan. 2001. Biology of plagues: evidence from historical populations. Cambridge, UK: Cambridge University Press. Stenseth, N. C. 1999. Population cycles in voles and lemmings: density dependence and phase dependence in a stochastic world. Oikos 87(3):427-460. Stenseth, N. C., A. Mysterud, G. Ottersen, J. W. Hurrell, C. Kung-Sik, and M. Lima. 2002. Ecological effects of climate fluctuations. Science 297(5585):1292-1296. Stenseth, N. C., B. B. Atshabar, M. Begon, S. R. Belmain, E. Bertherat, E. Carniel, K. L. Gage, H. Leirs, and L. Rahalison. 2008. Plague: past, present, and future. PLoS Medicine 5(1):e3. Treydte, K. S., G. H. Schleser, G. Helle, D. C. Frank, M. Winiger, G. H. Haug, and J. Esper. 2006. The twentieth century was the wettest period in northern Pakistan over the past millennium. Nature 440(7088):1179-1182. Twigg, G. 1984. The Black Death: a biological reappraisal. London, UK: Batsform Academic and Educational.